Catoosa County is one of the fastest growing counties in Georgia. The growth and prosperity is attributed to the excellent school system, our nearby neighbor, Chattanooga, Tennessee, beautiful landscape and above all, the outstanding quality of life. "United to Enhance the Quality of Life for the Citizens of Walker County by Promoting Business, Communities, Tourism and Economic Development". 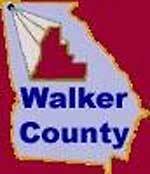 Walker County is located in the Northwest corner of the State. The headquarters for the Walker County Government and the Walker County Courthouse are in LaFayette, the County Seat. the state's public-private web resource for economic development. EPB was founded to ensure the availability of reliable, low-cost electric power service for Chattanooga area residents, industry and businesses. North Georgia Electric Membership Corporation currently serves more than 94,000 customers in portions of seven Northwest Georgia counties. These counties are Catoosa, Chattooga, Floyd, Gordon, Murray, Walker, and Whitfield. Fieldstone Village, a "Town Center" type development , is in the heart of rapidly growing Walker County and is part of the Fieldstone Farms mixed-use development which is approved for up to 500 residential units. For more than 30 years Ruffin Building Systems has been supplying high quality metal building systems and components to the commercial, institutional, industrial, agricultural, and mini-storage markets. Copyright © 2004-2012 Carlton Properties, LLC. All rights reserved.